Knowledge about the Vikings manoeuvres in Ireland is drawn from many sources. 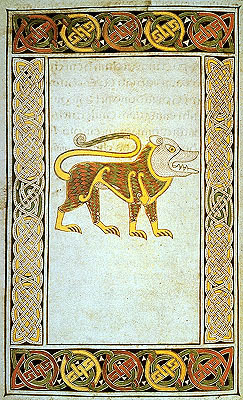 Apart from the Icelandic Sagas, written down in the 13th Century, there exists a rich array of old Irish annals and chronicles, of which the most widely known are: Annals of Ulster, Annals of the Kingdom of Ireland by the Four Masters (Annála Ríoghachta Éireann), Annals of Clonmacnoise, and “The War of the Gaedhil with the Gaill” (Cogadh Gaedhel re Gallaibh). There also exists an Arabic source (Ibn Ghazal)! All these sources however have in common that they were written down at least two centuries after the events took place, and they are all coloured by the authors’ biased view of the Vikings. Recent archaeological and linguistic knowledge have however managed to render more objectiveness into the evaluation of this important period in the history of Ireland. Érie – the green island in the west – was fortunate to escape both Roman and Anglo-Saxon occupation and colonisation, opposed to Britain in the east. However there existed plans for the invasion of Ireland by the Romans. The Romans in Britain had for a long time been exposed to raiding bands of Irish “Vikings” (Scots) all along the west coast, but their invasion plans were postponed again and again, until the Romans were forced to withdraw from Britain in 407 AD. The raiding continued after the Roman withdrawal, and eventually the Scots managed to establish a firm stronghold on the west coast of Pictland (Dalriada). Ireland was – like many other European countries at the time – dominated by rivalling clan- and family-based petty kingdoms, which alternated in having the overlordship over the others. Foremost among these were Connaught and Ulster in the north, Leinster and Munster in the south. As time went on, two dynasties distinguished themselves, the Ui Neill dynasty in the north, and the Eóganach dynasty (Munster) in the south. At this time there were no cities or major trading centres in the country. People made a living based on crop farming and cattle breeding, and lived in small villages surrounded by defensive walls and dykes. These settlements were either situated on hilltops (hillforts), or houses clustered together on artificial islands in the lakes (crannogs). The petty kings or chieftains were both secular and religious leaders. 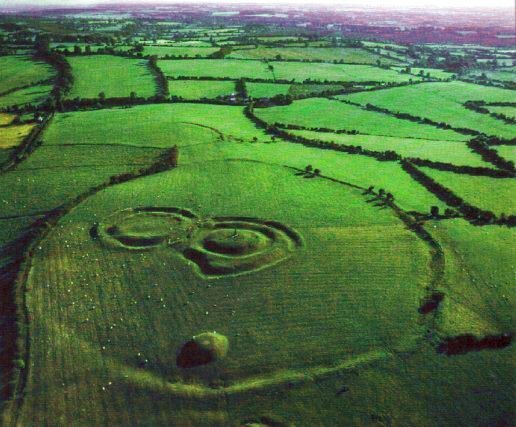 The largest and most important centre of all was Tara in Meath, north of today’s Dublin. 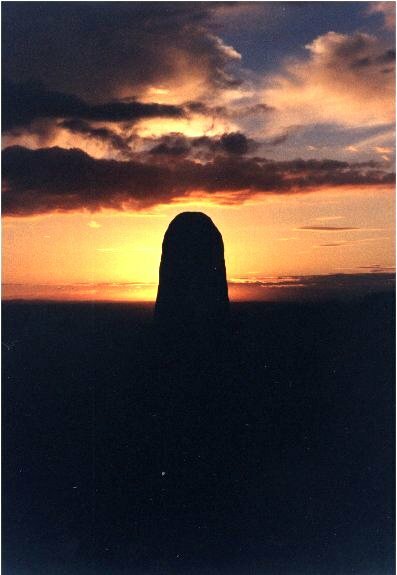 Tara had for centuries been a sacred place, and served as a ceremonial arena for the inauguration of the High kings of Ireland – the Árd Rí. The ancient coronation stone – Lia Fáil – was placed here. Archaeological excavations have proved that this place had been of central importance in people’s religious beliefs and ritual practices long before the Celtic migrations took place in the 5th Century BC. From this hilltop (100 metres above sea level) it’s possible to view large areas of the Irish countryside. Simultaneous with this internal struggle for power, the old druidic system of faith began meeting the challenge from Christianity. Christianity arrived early in Ireland. Among the very first missionaries was Patricius, or St. Patrick, as the Irish prefer to call him. He was born into a wealthy Roman aristocratic family in western Britain in 385 AD. At the age of 16 he was taken prison by Irish “Vikings”, and sold as a slave. Later he succeeded to escape back to Britain, but returned to Ireland to become a missionary. Patrick had great success, and before the end of the 5th Century, the majority of the Irish had converted to Christianity, although Druism still was present in peoples minds for a long time. 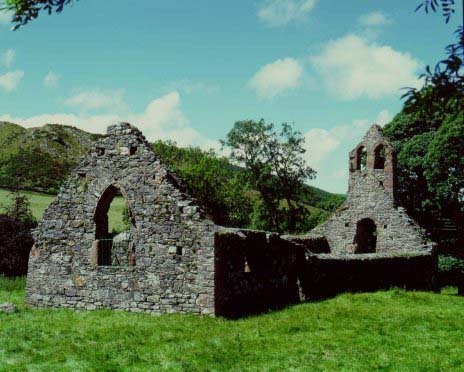 During the 6th Century a great many monastic centres were erected in all parts of Ireland, mostly for monks, but some also for nuns. Of the nuns, the abbess Brigida has become the most famous. It was primarily the eastern, ascetic form of Christianity and monastic life that was to establish its firm roots in Ireland, although the Roman Catholic mainstream religion eventually replaced it. The pioneer hermit monks searched for the most isolated places, usually uninhabited small islands far out to sea, where they built their tiny beehive stone houses. Little by little however, the calling for missionary work among the heathens inevitably was pushed to the foreground. The monastic centres in Ireland developed into popular educational institutions, receiving “students” from all over Europe. The travelling missionaries brought with them back to Ireland knowledge of Greek, Roman and Arabic science and literature. Latin became the language of the monks, and in the 6th and 7th Centuries they began systematically to write down all the accumulated legendary history of the Irish people – knowledge that had been orally transferred between generations for centuries. Among the most famous of these monastic centres were Armagh, Kells, Derry and Bangor in the northern part of Ireland, Clonmacnoise and Durrow in the inland, and Glendalough and Inisfallen in the west and south. It was places like these that attracted the Vikings during their raids in Ireland, because it was here they could find gold, silver and other valuables, shaped into reliquary shrines, chalices, jewelled book covers and other precious artefacts. The abbots and monks in the cloisters were defenceless against these marauding bands of Vikings, and so the treasures were an easy booty. The Vikings were however not the first ones to plunder the holy monasteries of its valuables. For many years local bands of marauders had helped themselves to the riches. In the Irish annals at least 30 such attacks are registered before the Vikings arrived in Ireland. In the initial 25 years after the Vikings arrived, 26 attacks performed by Northmen and Danes are registered, while as many as 87 were performed by local Irish bands! The very first attack from Vikings was directed towards the monastery on the small island Rathlin (Rechru) off the North eastern coast in the year 795 AD. The Northmen probably came from their bases in the Hebrides and the Orkneys. On their way to Ireland they had raided the monasteries in Skye and the Holy Island of Iona (794 AD). From Rathlin their raids continued, the monasteries of Inishmurray and Inishbofin on the west coast being the next victims on their schedule. Raiding was probably not the Vikings prime intention with their sea journey to Ireland. Most likely they were on the lookout for new settlements. The Vikings were by no means solely feared or distrusted everywhere in Ireland. Some chieftains welcomed them as allies in their fights with rivalling clans. Quite a few Northmen also married Celtic women, or brought them along as concubines. Through the Irish annals (Annals of Ulster) we are able to follow the Vikings on their journeys further along the Irish coast. In the year 798 AD they burned down a church on the east coast before they moved inland. 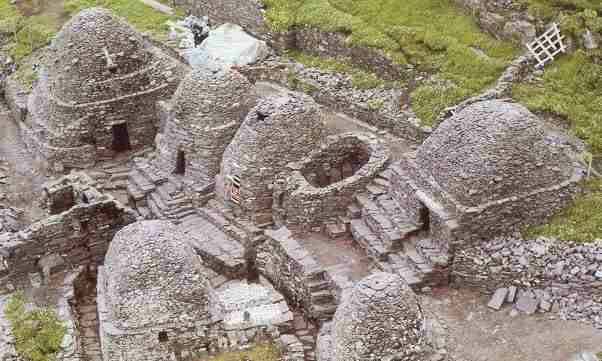 In 807 AD they appear in Galway on the west coast. In the years 811-12 AD they meet resistance for the very first time from the chieftains of the Ulaid clan, but already in 813 AD the annals refer to a battle where Vikings had “slaughtered the Irish and killed the local king”. According to the annals there then came a time of apparent peacefulness, but in 821 – 822 AD the plundering seem to have flared up again. The monastery in Cork on the south coast was raided in 822 AD, and the Bangor monastery in the north east desecrated in 824 AD – the relics of St. Comgall thrown into the sea and the abbot and several monks killed! The Vikings now started taking hostages and slaves. 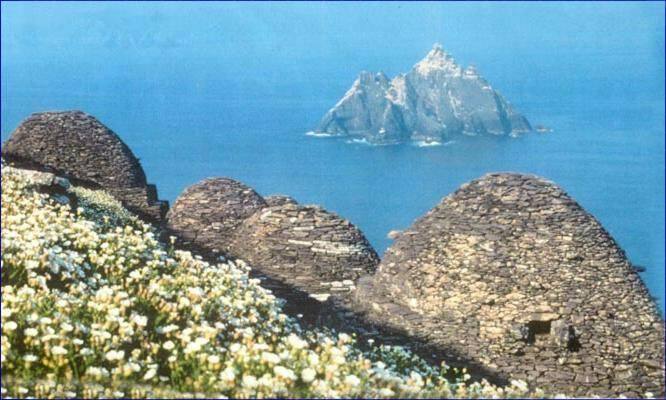 This happened in the small island of Skellig in the south west. As was the case during the raiding of Britain, seemingly no tracks were left behind. The only archaeological evidence to prove this really happened are examples of Celtic artefacts found in Viking graves in Scandinavia. 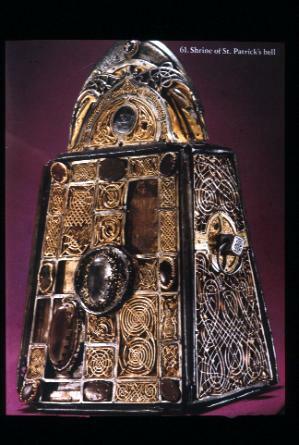 The most famous of these artefacts is a reliquary shrine – exhibited in the National Museum in Copenhagen. Underneath this shrine is a runic inscription saying: “Ranveig owns this casket”. Artefacts made of gold and silver were probably melted down and used for other purposes. The Viking raids were seasonal subsidiary activities for the Northmen. They took place during the summer season when the wind- and weather- conditions were most favourable for manoeuvring of the Viking ships. In the winter they returned to their permanent bases in the Northern Isles or the west coast of Scotland. From 830 AD onwards the Vikings started to move inland, and so the need for more locally situated bases arose. 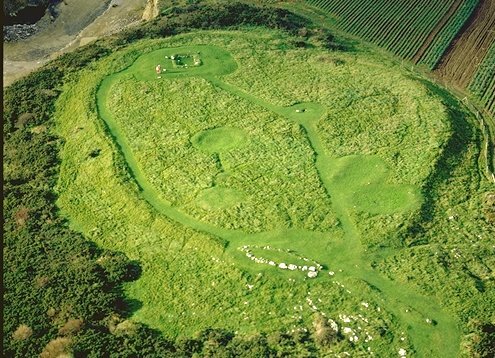 These bases are known as longphorts – fortified harbours specially constructed to shelter the longships. The first longphort was built in Dublin in 841 AD. The name Dublin is created from two Celtic words, dubh (dark, black) and linn (pool, stirred water) – so Dublin translated means Blackpool. This longphort or trading centre was founded at the place where the small river Poddle joins the main river Liffey and makes the water muddy. Apart from in Dublin, archaeologists have not found much concrete traces of these early Viking settlements, but recent research using computer topography has demonstrated remnants of these longphorts in Limerick and by the river Shannon (Athlunkard). The first traces of the Dublin Vikings were unearthed when railway tracks were being laid in the 1840s. In the Kilmainham-Islandbridge area remnants of a large Viking cemetery were discovered. More than 80 skeletons of men, women and children were found, in addition to a hoard of Viking artefacts, 40 swords, 35 spearheads, brooches, spinning wheels and children’s toys! Unfortunately the artefacts were only scrambled together and given to the Royal Irish Academy. Later researchers however have tried to reconstruct the site as carefully as possible. In the summer of 1978, 20 000 Irishmen marched through the streets of Dublin, to protest against the authorities “vandalizing” the remnants of a newly discovered Viking settlement in the steep slopes from Christ Church down to the river Liffey. In this area, called Wood Quay, the government had decided to build a large office complex. The National Museum had started excavations here in 1974, and had unearthed the ruins of a Viking settlement from around 950 AD. The authorities eventually won the battle, and the offices were decided built, but not before the archaeologists had completed their excavations. It was also agreed to integrate some of the ruins in the new building complex, and make them available for the public. The archaeologists have unearthed the remnants of more than 200 houses, dating from the end of the 10th Century. 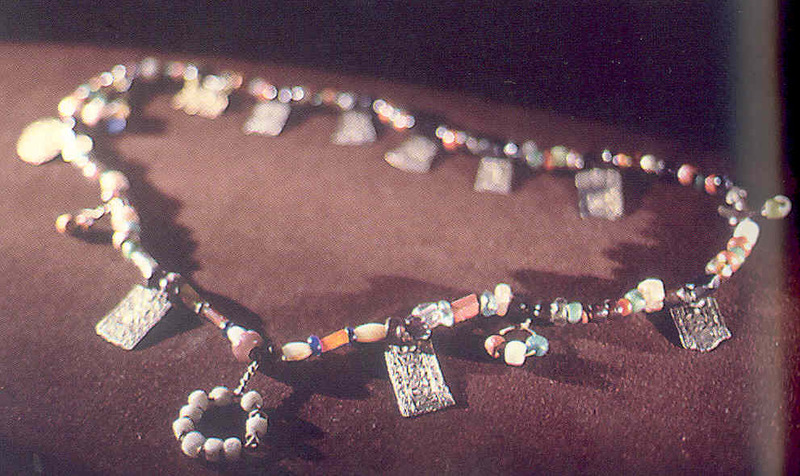 They originated from a time when Dublin had developed into one of the leading trading centres of Northern Europe. The houses were in surprisingly good condition, and thus made it relatively easy for the researchers to visualize the technology of construction, the interior details and way of living. The most common type of house (Type I) had a length of 7, 5 metres, and a width of 5 metres (38 square metres). Almost all the houses had walls of post-and-wattle. 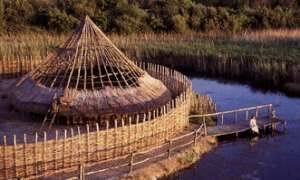 Most of them had hipped rather than gabled roofs, and nearly all were thatched with barley straw onto a layer of turfs which was unrolled on a wattle mesh infrastructure. There was usually a doorway in either end wall. The doors were also constructed from wattle work surrounded by a wooden frame, and attached to the walls with iron hinges or leather straps. The rooms were divided into three long strips – a wide centre aisle with a raised bedding area along either side. The fireplace was located in the centre – a flat hollowed stone slab. The mud floor was usually strewn with wood shavings and gravel, but some houses had wooden flooring. The doorways had stone pavement. The benches were strewn with straw and furs. The corners of the main buildings were reserved for special purposes, principally for the storage of water, milk, milk products and meats. Sometimes they appear to have been used as privies. This house type – built in the post-and-wattle technique – was of the same kind found in York in Northern England. Researchers have for a long time been searching for the prototype in Norway. The archaeologist Dagfinn Skre, who is in charge of the excavations in Kaupang outside Larvik, claims he has now found evidence of the same house constructions in this old trading port! During the excavations at Wood Quay in Dublin researchers have found and registered more than 30 000 artefacts dating from the city’s “Golden Age” as an international trading port. Three thousand pieces of amber have been found, imported from Denmark and the Baltic in lumps, which were locally worked into rings, ear-rings, pendants and beads. Similarly, jet (a black coal-like substance) was brought to Dublin in lumps from Yorkshire to be turned into bracelets and rings by local craftsmen. Walrus ivory was brought from the waters of the Arctic – often with the skull still attached to it. Enormous quantities of silver, mostly in the form of Arabic coins, made their way to Dublin. The coins were traded up the Russian rivers by the Vikings from Sweden and Norway. Tin arrived from Cornwall, and soapstone from The Shetlands and Norway. 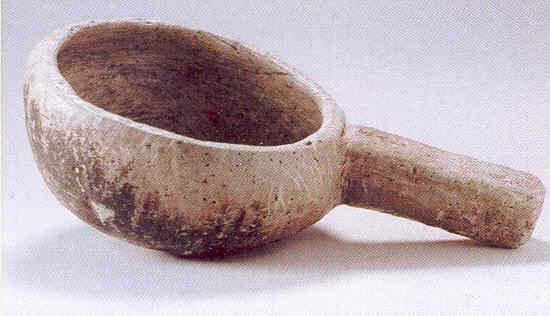 Soapstone was important in the Viking world. It was turned into bowls, pots and saucepans, as the making of ceramic products was never a Viking trade. Among the more exotic finds were remnants of fruits, nuts, herbs and spices from the Mediterranean and Middle East, silk from Byzantium and Baghdad. There was also an extensive activity among craftsmen and artisans going on in the city, and workshops have been identified for the production of leather goods, shoes, combs and other horn products from walrus teeth and reindeer’s antlers, wood-and metal works, jewellery production, and so on. 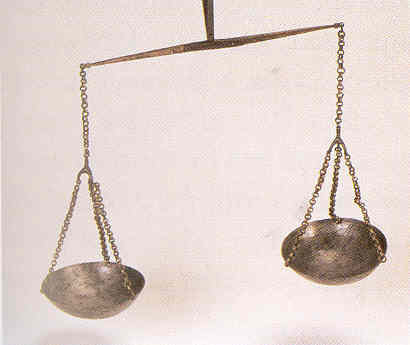 All merchants were equipped with their own small folding scale weight, and a set of nicely carved weights. The most common and widely used weight unit was 26,6 grams! The slave trade was a very important part of the commerce. Dublin was famous for its slave marked, and merchants came all the way from the Middle East to buy the highly prized blonde young men and women from the North. As Christianity however by and large achieved a greater impact on Viking society, this trade became considerably limited. Even if the truth in this legend is rather doubtful, it is for certain that the Vikings at this time established strongholds many places in Ireland. Apart from Dublin (Dyflin) on the east coast, strongholds and trading centres with a permanent Norse settlement were founded in Waterford, Wexford (Veigsfjörður), Wicklow (Vikingaló) and Cork on the south coast, and Limerick (Hlymrekur) at the mouth of the river Shannon on the west coast. In a remarkable short time the Vikings managed to change Irelands old pastoral economy into a rich and flourishing mercantile economy. 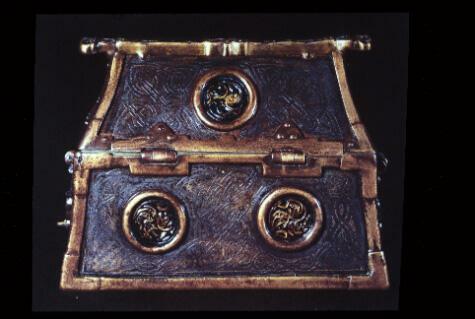 Due to the widespread trading contacts of the Vikings, Ireland was “opened up to the world”. 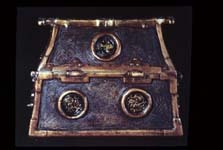 A unique style of art developed, the so-called hiberno-norse style, incorporating elements from both Celtic ornamental art and Norwegian Ringerike- and Urnes-style. According to the Annals the year 841 AD was the first year the Vikings spent the winter in Dublin. The following year the entrance in the Annals reads: “The heathens are still here? !” During the initial years it seems Dublin mainly served as a place for the reloading of supplies for further raiding in the British Isles. About the same time another harbour was erected a little further north by the river Boyne (Anagassan). 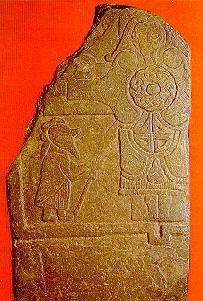 During the 840’s the Annals relates of several fights between the Norwegian Vikings and local Irish kings. 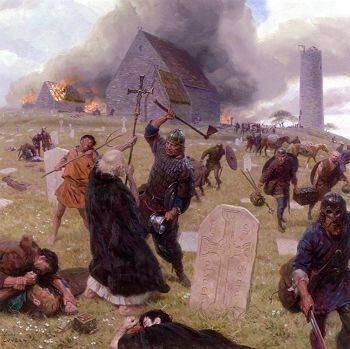 In 847 AD the Irish king Cearbhall of Osraige defeated a Viking army of 1200 men! It is difficult to separate Danes from Norwegians those very first years. In the Irish Annals the authors differentiate between Daunitar (Danes) and Lochlannar (Norwegians), steadily fighting against each other for supremacy over Dublin and the other trading ports in Ireland. 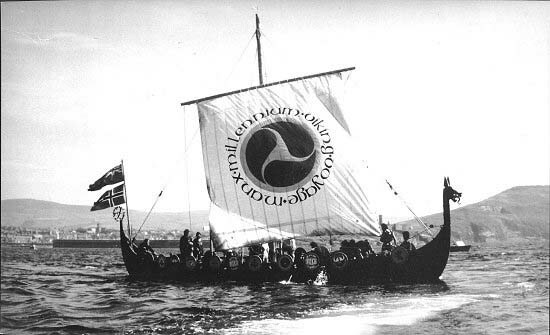 The Irish refer to the Vikings either as Gaill (strangers), Lochlann (people of the fjords) or Normanni (Northmen). Later on they seem to make a distinction between Finn-Gaill (the white or old strangers) and Dubh-Gaill (the black or new strangers). Researchers have interpreted the first as Norwegians and the second as Danes. Still to day the landscape or region north of Dublin is called Fingall! The brothers Olaf (Amlaibh) and Ivar (Imhar) Guðfriðsson are the first historically identifiable Norse regents in Ireland. They were the sons of Guðfrið Ragnvaldsson, a Norwegian chieftain or local king in Vestfold (west side of the Oslofjord). (Some authors unfortunately seem to confuse this Ivar with the later Danish invader of England, Ivar the Boneless, son of the legendary Ragnar Loðbrók). In the year 853 AD Olaf (the White) gained control of all the Viking settlements in Ireland. His brother Ivar was put in charge of Limerick. In the year 871 AD Olaf went off to Norway to help his father in a battle against Harald Fairhair (possibly the decisive Battle of Hafrsfjord). He never returned to Ireland, and is buried in a ship mound in Vestfold – Geirstaðir – close to where the Gokstad ship was found in the late 19th Century. 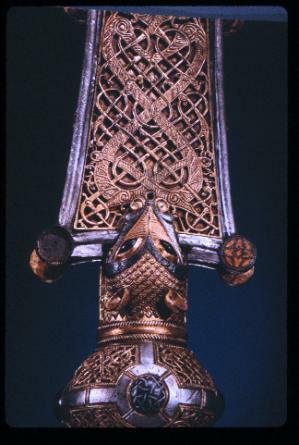 Ivar took over the rule in Ireland in his brother’s absence. He called himself: Rex normannorum totius Hiberniae et Britanniae – King of all Northmen in Ireland and Britain! Ivar died in 874 AD. A time of unrest followed Ivar’s death. The Irish recaptured the control of Dublin, and many Norwegians flew across the Irish Sea to the Isle of Man and their Norwegian bases on the north-western mainland of England, in Scotland and the Hebrides. Olav Kvaran assembled a large fleet to attack king Aethelstan in England. He was defeated in the Battle of Brunnanburg, but later he became king of York until he was forced to abdicate in favour of another Norwegian – Eirik Bloodaxe. It is told he then went to Iona to become a monk, and died there. His son Sigtrygg Silkbeard was appointed king of Dublin in 989 AD. During his reign great battles were fought at Glenmama and Clontarf. Sigtrygg lost them both, and eventually had to yield his supreme power to the legendary Irish hero Brian Boru. In the year 1028 AD Sigtrygg makes a pilgrimage to Rome, and when he returns starts the building of Christ Church in Dublin. Sigtrygg also founded the very first coinage in Dublin, portraying himself on the adverse. Eventually Sigtrygg was expelled by the Norse-Irish king in Waterford – Echmarcach, withdrew like his father to a monastery, where he died in the year 1042 AD. 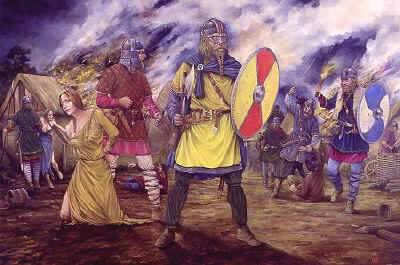 All of Sigtrygg’s sons had been killed in battles, and little by little the Norwegian kingdom in Ireland fell apart. In 1052 AD the son of the king of Leinster is proclaimed king of Dublin. This island, situated in the middle of the Irish Sea, about the same distance from Ireland, Scotland, Wales and England, was part of the Norse kingdom in the Western Isles. It was at the time formally reckoned together with the Hebrides, or Suderøyene (Southern Isles). Still today the bishop of Man bears the joint title of “Bishop of Sodor and Man “. The northern part of the island is lowland, where farming and sheep breeding are the prime means of income, while the southern part is highland (Snaefjell, 620 metres). The old Celtic language was manx. The language is now extinct, but was related to the Gaelic (Q-Celtic) languages of Ireland and Scotland. As late as in the 1950’s there were some old people in Man who still spoke the language. Norwegian was spoken on the islands until late in the 14th Century. By then Norwegians had ruled the islands for almost 500 years! The name of the island – Man – was, according to an old Celtic legend, the Sea God Mananan’s throne. Mananan was son of the Sea God Lir. The Roman’s name on the island was Monapia, although they never really succeeded in getting a firm stronghold there. 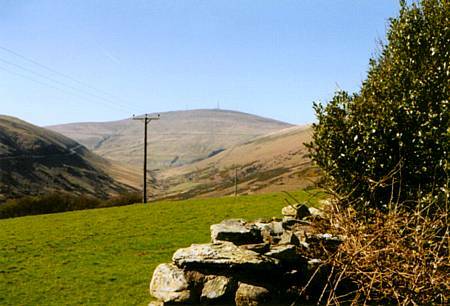 The abbott Nennius refers to the island under the name Eubonia (858 AD), and in the Welsh Annals the island is called Manaw. The present inhabitants refer to their island as Ellan Vannin. Christianity was introduced on the island in the 6th Century with Irish missionaries. They settled down on the island, building small chapels (keills) often close to holy fountains (chibbyr). Remnants of 35 of these chapels have been discovered all over Man, but many of them are hidden underneath medieval churches. 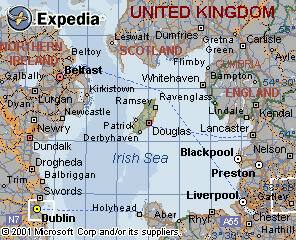 The Isle of Man is officially not part of the UK, although it is subordinated to the British Monarchy. The island is governed by a Governor appointed by the UK, who answers to a locally elected council. 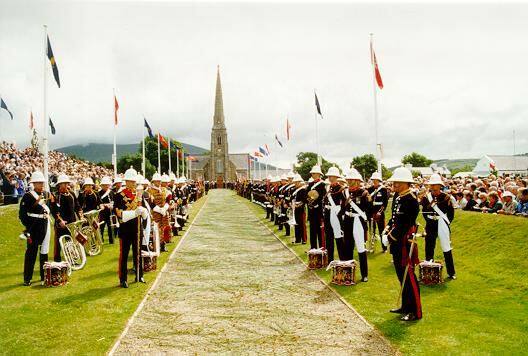 In the south-western part of the island lies Tynwald Hill – the ancient Norse open-air Law Court – þingvóllur. Similar Norse open-air Law Courts are to be found in Scotland – Dingwall (northwest of Inverness), and in Shetland – Tingwall. 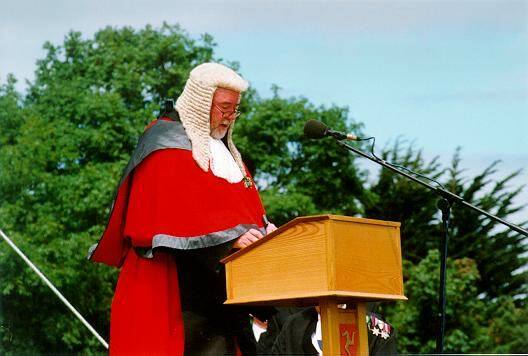 Every year on Midsummer Day the 5th of July the Court of Tynwald still are assembled here, and the Manx people can therefore boast of having the oldest continuous legislative court assembly in the world! 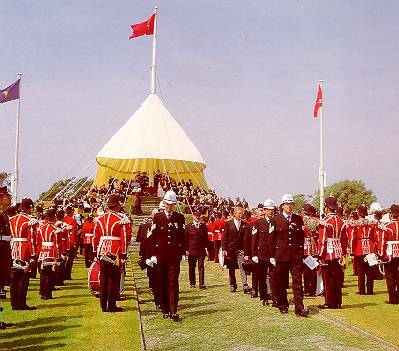 In 1979 Man celebrated its 1000 years anniversary as a parliamentary state. The Queen was present, and the replica Viking ship “Odin’s Raven” sailed all the way from Trondheim to honour the occasion in a real Viking manner. Some of the traditions still preserved are however much older than the Viking Age. Along the parade street leading up to the Court people toss straw or hay before the arrival of the prominent guests – strawing the rushes – a custom dating back to Celtic Iron Age. Northmen settled down in Man probably as early as the end of the 8th Century, and rapidly gained control of the island – incorporating it into their Realm of the Western Seas. During the rule of King Magnus Lagabøter (Lawmaker) 1252 – 1266, Norway was forced to abandon Man in favour of the Scottish king Alexander III. Researchers disagree to what extent the Viking presence on Man affected the indigenous people. The linguist Margaret Gelling has interpreted the absence of Celtic place names in the island as evidence for the extermination of the Celtic speaking inhabitants by the Vikings, and claims the Celtic language (Manx) was reintroduced in the island after the Vikings left. The archaeologist Marshall Cubbon contradicts this view, as the archaeological evidence rather shows that the Vikings lived peacefully together with the local Celts, although they were the dominating social group. More than 25 remnants of Viking settlements and cemeteries have been unearthed in Man. The archaeological material suggests that the Vikings usually married Celtic women, gave Celtic names to their children and grandchildren (like Fiacc), and raised them in the Christian faith. 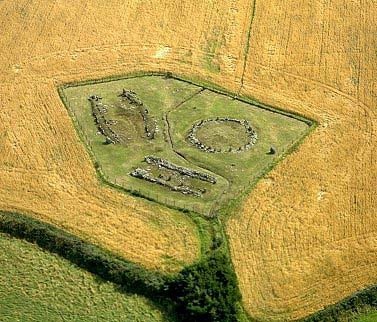 In the southern part of the island, in Balladoole near Arbory, archaeologists have discovered a stone ship-setting. This was probably the burial site of a chieftain. He is buried together with many of his personal belongings – even the harness of his horse, but no weapons! Lying next to him was the corpse of a woman – probably sacrificed. In the 1940’ies a German archaeologist unearthed a Viking grave. He had been interned on Man during the 2nd World War. In this burial mound, in a farm in Ballateare near Jurby, he found a wooden coffin containing the remains of a man, surrounded with a great many weapons. Several of the swords and spears had been broken in half before they were laid in the coffin. This was a common ritual in Viking burials. 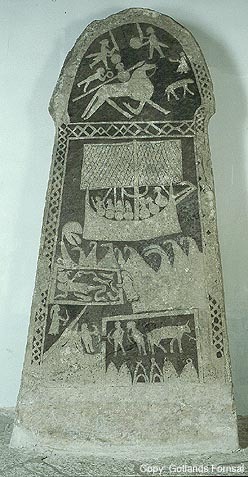 The grave was dated to the end of the 9th Century. Lying on top of the coffin was the skeleton of a woman in her twenties. She was positioned with her face downward and her arms raised above her head. The top of her skull was chopped off with a sword or an axe. This was unmistakable evidence of her victimization. She was probably a concubine or a slave girl, and had accompanied her master on his journey to the Afterworld. King Harald heard that the Vikings, who were in the West Sea in winter, plundered far and wide in the middle part of Norway; and therefore every summer he made an expedition to search the isles and out-skerries (1) on the coast. Wheresoever the Vikings heard of him they all took to flight, and most of them out into the open ocean. At last the king grew weary of this work, and therefore one summer he sailed with his fleet right out into the West sea. First he came to Hjaltland (Shetland), and he slew all the Vikings who could not save themselves by flight. Then King Harald sailed southwards, to the Orkney Islands, and cleared them all of Vikings. Thereafter he proceeded to the Sudreys (Hebrides), plundered there, and slew many Vikings who formerly had had men-at-arms under them. Many a battle was fought, and King Harald was always victorious. He then plundered far and wide in Scotland itself, and had a battle there. When he was come westward as far as the Isle of Man, the report of his exploits on the land had gone before him; for all the inhabitants had fled over to Scotland, and the island was left entirely bare both of people and goods, so that King Harald and his men made no booty when they landed. 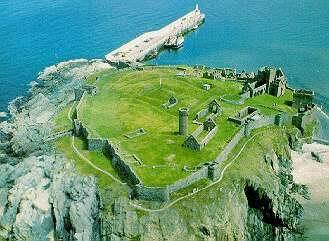 The registered history of the Isle of Man does not start until after the Norman Invasion in 1066 AD. It is written down in Chronicon Regum Manniae et Insularum. This chronicle opens with the Icelandic born Gudrød Krovan and his attempt to conquer Man. Gudrød had fought together with Harald Hardråde (Hardrule) in the lost Battle of Stanford Bridge in 1066. He succeeded in his third attempt in the Battle of Skyhill near Ramsey on the north-eastern coast in 1079 AD. Gudrød Krovan and his descendants ruled on the islands for almost 200 years! Locally he is remembered as “King Orry” (Godred=Gorry=Orry). The nickname Krovan he earned because he always wore white gauntlets when he was fighting. “Maelbrigði, son of the blacksmith Athakan, erected this cross for remission of his sins, but Gaut made this and all the other ones in Man”. These stone crosses can be dated to the mid 10th Century. Gaut Bjørnson was perhaps the founder of a whole stone carving industry in Man! In his workshop he merged elements from traditional Celtic art with typical Scandinavian patterns and symbols. Recurring motifs in his decorations are derived from the old legend of Sigurd Fåvnesbane (Sigurd the Dragonkiller). Equivalent motifs are found on doorway posts decorating the entrances of old stave churches in Norway, like that in Hylestad. Thereafter Olaf Trygvason sailed to England, and ravaged wide around in the land. He sailed all the way north to Northumberland, where he plundered; and thence to Scotland, where he marauded far and wide. Then he went to the Hebrides, where he fought some battles; and then southwards to Man, where he also fought. He ravaged far around in Ireland, and thence steered to Bretland, which he laid waste with fire and sword, and all the district called Cumberland. He sailed westward from thence to Valland, and marauded there. When he left the west, intending to sail to England, he came to the islands called the Scilly Isles, lying westward from England in the ocean. When they were ready to leave, the king of Man – Olav Gudrødsson Svarte (Olav the Black) –arrived from Suderøyene (the Hebrides). He told the king about the great unrest in the Western Isles. He said he was forced to flee from the Isles and from Man, because Alan, the Earl of Galloway, had managed to assemble a large army, and intended to conquer Man. Olav tried his best to imitate the Earl’s own expressions. He had threatened, not only the Northmen on Man, but had also uttered that there was no big deal if he wanted to attack Norway itself, as it was not so much further over the sea to Norway than it was to Scotland. The Scottish King Alexander III had made several attempts to buy the Western Isles back from Norway before he attacked. Following the Battle of Largs in 1266, Norway was at last forced to renounce their power over the Western Isles (apart from Orkney and Shetland) to the Scottish King, and a treaty was signed by King Håkon’s son Magnus Lagabøter (Lawmaker) and Alexander III. In the following years the people of Man lived through a long period of unrest. The island became a cog in the wheel in the politics of power between England, Scotland and Ireland. In 1334 it was given by the English King Edward III to one of his loyal Earls – William de Montacute, Earl of Salisbury. His son sold the island on to another Earl – Sir William le Scrope, the later Earl of Wiltshire. Some years later it was possessed by the Earl of Northumberland, until King Henry IV donated the island to Sir John Stanley in 1405 AD. He took the title King of Man, and his descendants governed the island for 350 years under the title Lord of Man. In 1929 England bought the island back for £ 417 114. It’s no wonder the people of Man have chosen this Latin slogan for their Coat of Arms: Quocunque jeceris stabit which means: We shall land on our feet either way they throw us!